I was recently the recipient of newspaper articles written by Korean War correspondent, Rafael Steinberg. My original intention was to extract notes of interest from these items to include here, as they fit into the timeline of the war. But – these particular pieces struck me as so well-written, such an exact depiction of the scene, that I knew I had to receive permission to reprint, in full, as it appeared in the Dallas Times Herald, 4/13/51…. 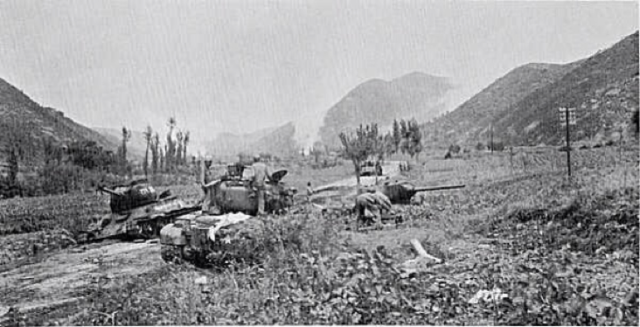 On the Central Korean Front, April 13 (INS.) – For nearly an hour a sparsely settled, isolated and almost picturesque river valley exploded into one of the hottest front line sectors in North Korea. My dear friend, thank you so much for the support you’ve always shown me.